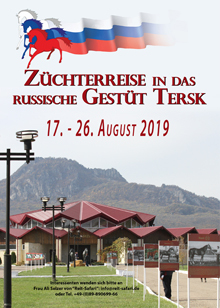 « (Deutsch) Willkommen in Russland! 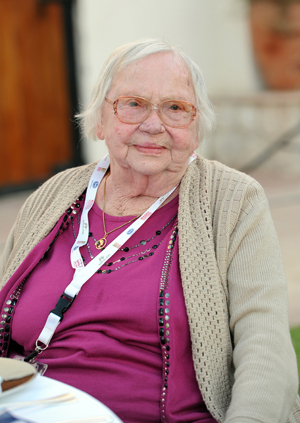 Yesterday, Hanna Luise (Hansi) Heck-Melnyk passed away at her farm in Hawthorne, Florida at the age of 86. 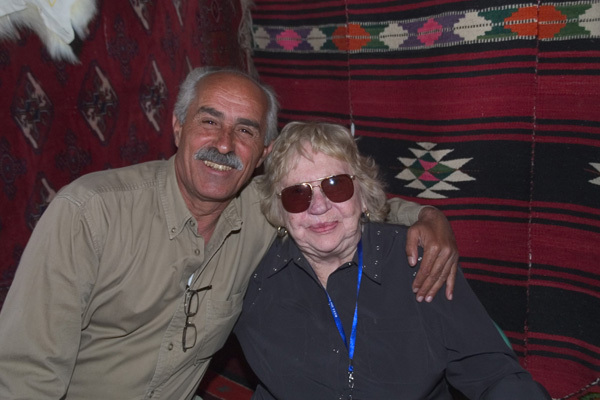 With her, the Arabian horse world has lost a major breeder, but also a belligerent pedigree expert. Born in 1931, Hansi Heck-Melnyk emigrated to Canada at a young age. Her actual equestrian origin were warmblood horses, and only in 1967 could she fulfill her dream of a purebred Arabian. 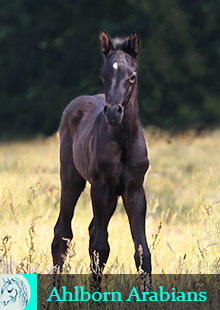 By luck, she saw the two-year-old Khofo standing on the pasture at Gleanloch Farm stud as she drove by, and in the following she made every effort to buy him. Doug Marshall finally agreed and Khofo (Morafic x Nabilah) * 1965 became the foundation sire of Serenity Farm. She had previously purchased a 160-acre farm in Queensville, Ontario, Canada, where Khofo was the first Arabian horse to move in. 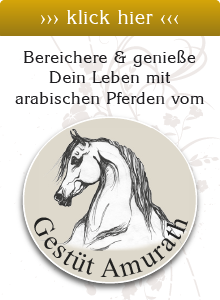 The breed soon ousted the warmbloods, for Hansi was thrilled with the extraordinary docility and intelligence of the Arabian horse. Her stud became the only private quarantine station for imports to Canada and the US, and numerous horses exported from Egypt to America came here. Hansi knew many of the founding horses of American Egyptian breeding from her very own experience, some of them also under the saddle. She herself imported numerous horses from El Zahraa, including National Champion Mare Serenity Sonbolah (Sameh / Bint Om El Saad) * 1967 and SF Bint Mamlouka (Mashhour / Mamlouka) * 1959. In 1976, Hansi Heck-Melnyk moved with all her horses to Florida to escape the cold winters in Canada. Her stock comprised between 40-50 horses. The stallions were all ridden, and had to convince Hansi as a riding horse before they went into breeding. Over the years, the Serenity horses became famous as performance horses, and formed the basis for many other studs. 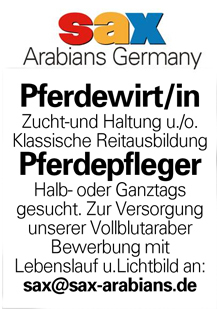 In Germany, we knew Serenity Habib (Khofo / SF Bint Mamlouka) * 1983 in the possession of Willy Luder, who was used for years in the main and state stud Marbach where he had a significant influence through his female offspring. In addition to her own breeding, Hansi Heck-Melnyk fought for the “Asil Arabian” in particular and was widely esteemed as a pedigree expert. 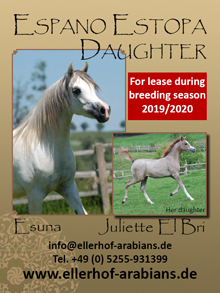 Although she liked to call all “non-Asil” horses “Partbred Arabs”, and published a corresponding directory, she became a little milder in older age. She was always a belligerent discussant and hardly missed any of the WAHO conferences, where we’ll miss her painfully. Hansi and Ahmed Haj Wais at the WAHO-Conference 2007 in Syria.